One expert warned parents also fear their children are suffering mental health problems because autism spectrum disorder is not being recognised. 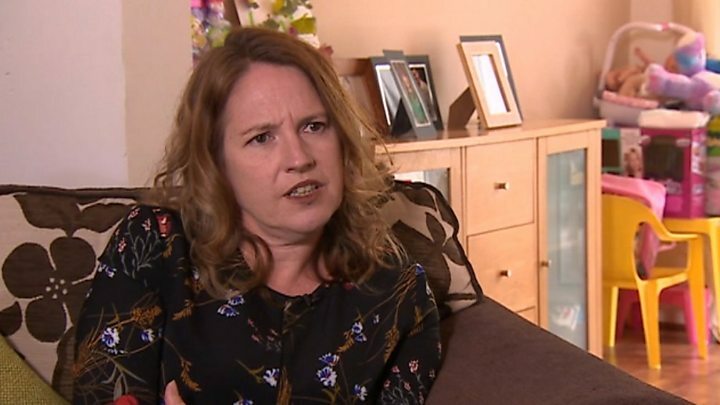 She said while there can be waits of between 16 to 22 weeks for a diagnosis of autism or Asperger's Syndrome within the Child and Adolescent Mental Health Services (Camhs), parents may have raised concerns years before they have even referred. "The absolute worst impact that it has on the child when they are not diagnosed and left unsupported is it leads to what parents describe as mental breakdown, but school might describe as maladaptive or challenging behaving, so they're being categorised in school as naughty, or disruptive, or non complaint," she said. "There can be very long waits for Camhs, and in that time the child is still disintegrating, you see issues of self harm, breakdown, school refusal, and that's if they get referred to Camhs at all. "More commonly when you see aggressive or non compliant behaviour, it comes to school exclusion before it comes to Camhs. "The child feels trapped, unsupported, anxious, and the only way they have to cope with this is outbursts. "When the parent goes from door to door with no help for what they see as a major crisis - possibly life ending in some cases, because we have had cases where children report feeling suicidal - parents have no where to turn. "What is consistent across the research is you are more at a risk, if you have autism, of suicidal thoughts or engaging with self harming behaviours. It's particularly prominent in females and particularly prominent in females who have remained undiagnosed until adulthood." Nicky and Richard Heady, from south Wales, said they have had to battle for support for their 12-year-old daughter, Caitlin, who has recently been diagnosed with Asperger's Syndrome. "She's been bullied, she's become depressed, she's lost all her friends, become socially isolated, it's horrific," she added. "I am a little angry because I think she should have had that support when she needed it, because [if] you don't have diagnosis you don't get support, no-one to turn to because no-one understands." Solicitor Julie Burton, who specialises in the field, said one of the key problems - particularly for children deemed as "high functioning" - is they fall under the care of mental health services. "Mental health services, generally speaking, concentrate on people who have a treatable - by means of medication - mental disorder from which they can recover or be maintained at reasonable level," she said. "Autism spectrum disorder is a lifelong developmental disorder, it affects the way people think, the way they interact, it's very hard to see how mental health services can make inroads to them, so I think there's a huge gap - a real problem." Preseli Pembrokeshire AM, Paul Davies, who is currently bringing an Autism Bill through the Welsh assembly, said: "One of the solutions to this very serious problem is the introduction of legislation to ensure that services are put on a statutory footing." "Referrals to CAMHS can be made across different areas, and we would advise parents who have concerns about their children to contact their GPs," he added.